App Store Search Ads are Here! The wait since early Spring is now over. 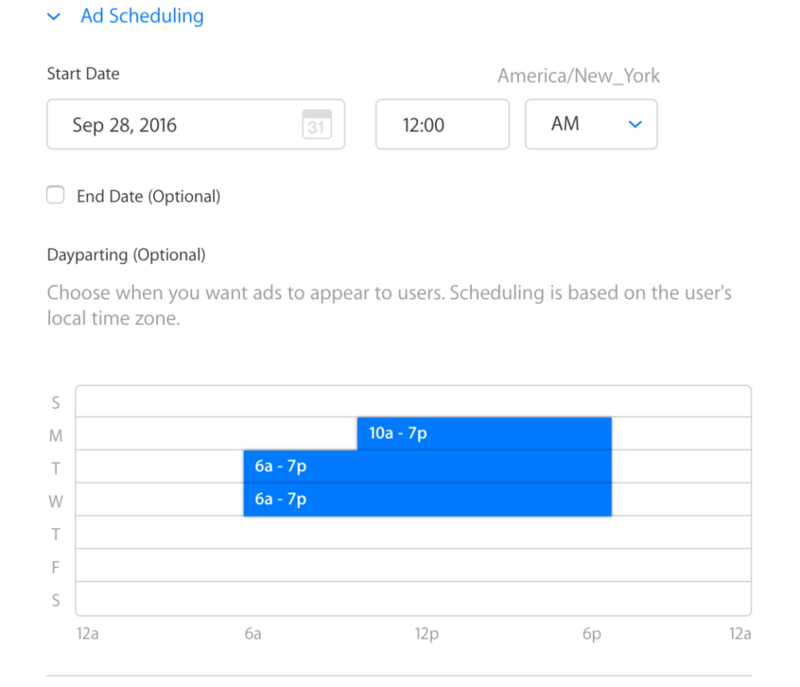 Apple has just taken the wraps off of search ads and is now letting app marketers and developers sign up and set up their search ad campaigns. While search ad campaigns won't be officially live until October 5th, advertisers are finally able to get in and play around with the system, set up campaigns and familiarize themselves with the campaigns. 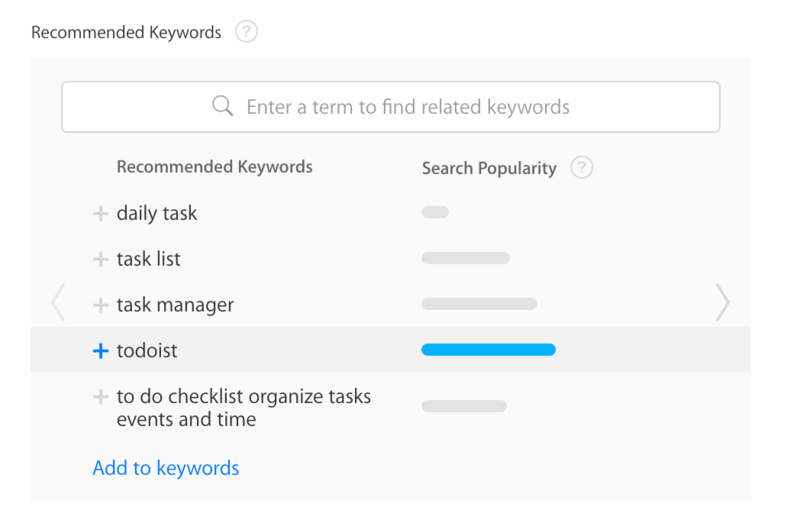 Apple provides a "search popularity" estimate that allows you to visually compare keyword search popularities, yet no hard data point for monthly store search volume. 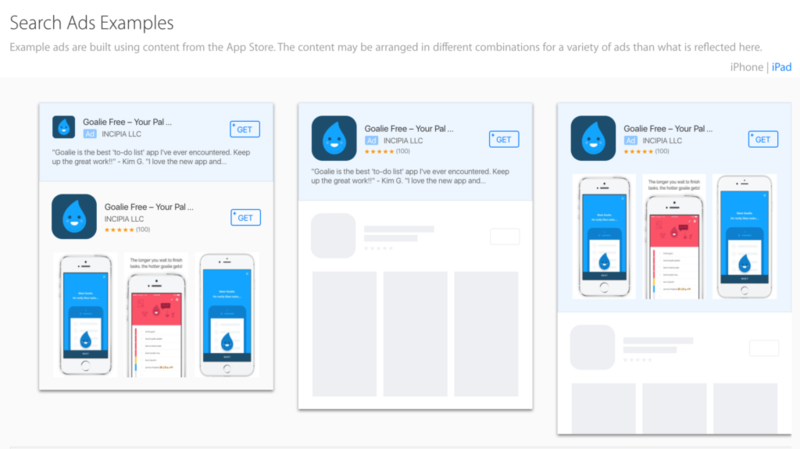 Your ads can match to "relevant searches," which includes "the metadata from your App Store listing, information about similar apps in the genre and other search data." Campaigns set up currently will be placed in "system held" status until 10/5. Ad copy is automatically built using elements from your app's listing. For a limited time, Apple will be giving advertisers a $100 credit for signing up for search ads. Stay tuned to Incipia for ongoing posts exploring search ads, their implications for app markters and how to optimize your search ads campaigns, and contact us if you would like to receive a quote for managing your search ad campaigns. The Bottom Line: The newest and potentially best channel for marketing iOS apps has now arrived. Set up your campaigns early to take advantage of the initial dearth of competitive pressures before CPC inflates!